It appears whatever happened to the ABC tv owned websites has now been resolved. As of 8a (ET) All ABC TV owned sites still appear down. 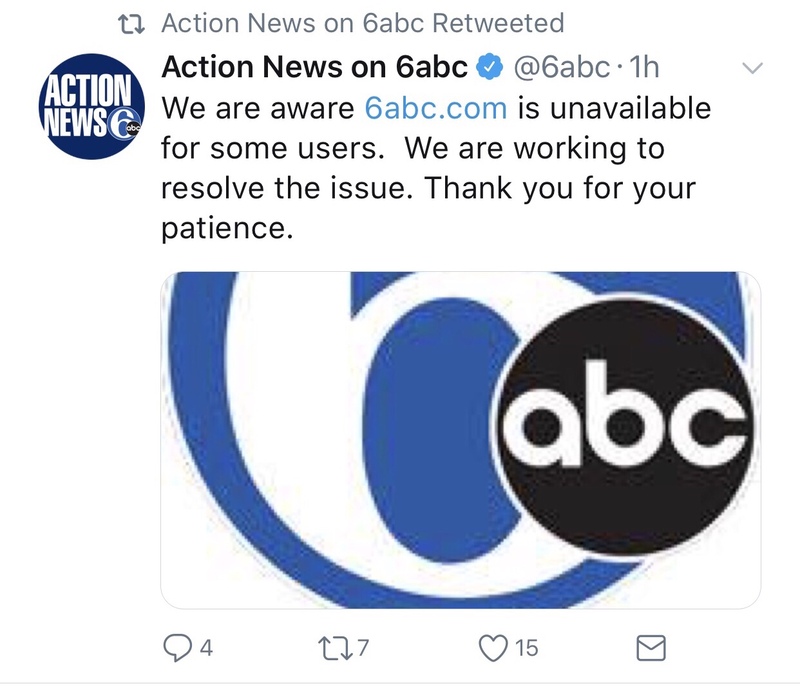 At this time 6 ABC in Philly has acknowledged the issue via Twitter. As of 6am (ET) / 3am (PT), not really sure what is going on, but it looks like the websites run by ABC TV (in the USA) are currently down. 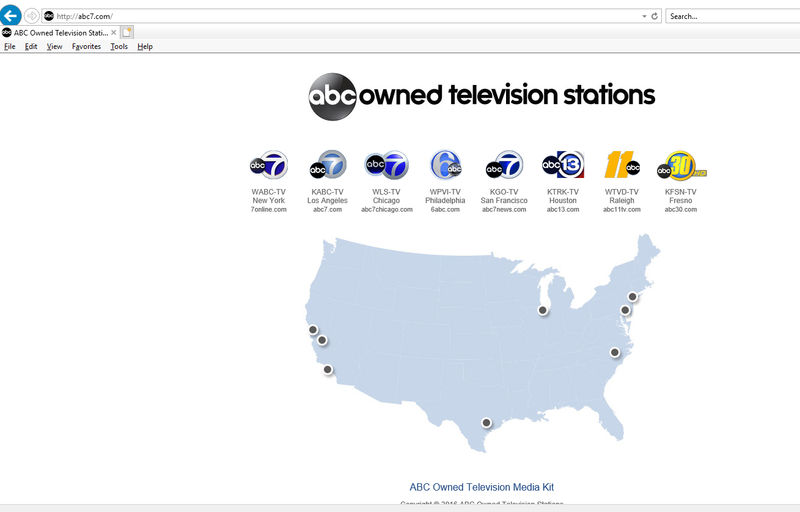 When you try to access any of their pages you get a map of the US with a list of abc owned television stations. So if you are trying to look up information from an ABC TV owned site, you will need to try again later.